The advantage is in the palm of your hand. 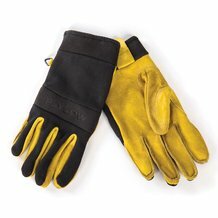 The palm of each glove is crafted of pigskin leather that is triple baked with beeswax for a waterproof coating. 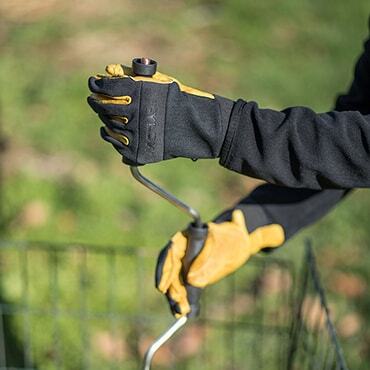 Great for gardening and yardwork and more, these gloves are also made with stretchy fabric for a comfortable fit. Care Instructions: Treat leather with Nikwax Waterproofing Wax. Heat (180). Apply wax. Repeat.